Highway has become the symbol of country modernization. The speed development of transportation network effectively improved our transportation structure and transportation efficiency and play a important role for our economy. Setting an IP host server and related software in general station.It makes up digital voice commanding and dispatching system and control center. Installing one IP server in each toll station, the worker could contact with general station directly through this intercom if any emergency. Our intercom supports one-touching calling and ask help soon. Installing two sets of emergency telephone in our service area, one is IP phone with loudspeaker, one is IP intercom with broadcasting function. Tunnel design needs one IP telephone with large power, some loud speakers. We can receive the broadcast from the manage center,extension station and toll station. Echo detection: The IP telephone itself can detect the working status.And the send the result to host system. The operator could check each IP phone in control center. Remote control the tunnel light：when the IP phone connect with tunnel light, the host system can send the switch command. Remote control ventilating fan：when the IP phone connect with ventilating fan, the host system can send the switch command. Emergency calling: support call the tunnel rescue center or the worker rapidly when in an emergency. Tunnel detection: Detect the status of a certain tunnel or road section output the HD videofrom the console. Unified broadcasting: highway radio management center support broadcast to all toll gates, service area and tunnel. Group broadcasting:highway radio management center support group the toll gates, service area,tunnel and then broadcast radio or music. Emergency broadcasting: radio management center support inform other station when in an emergency. Auto-broadcasting: The server could set the timing playlist. Each radio point could auto-play/close the device according to the timing playlist. Free calling: this system can set control station, radio management and control station could broadcast to any radio point. Duplex talk: each radio point could freely talk with radio management center or other station. 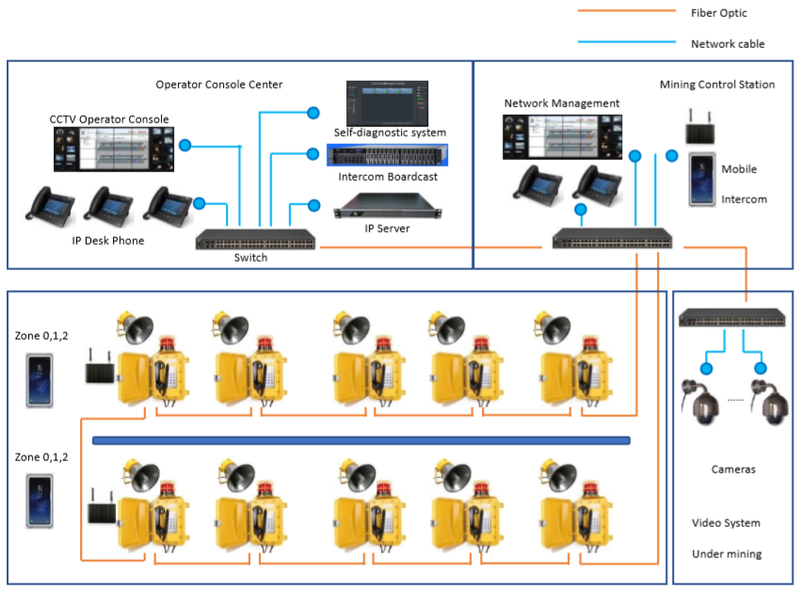 Control management system centralizes the traditional decentralized system, scheduling, broadcasting, telephone, monitoring, tunnel devices and so on. It reduce the construction cost and the operation is very convenient. 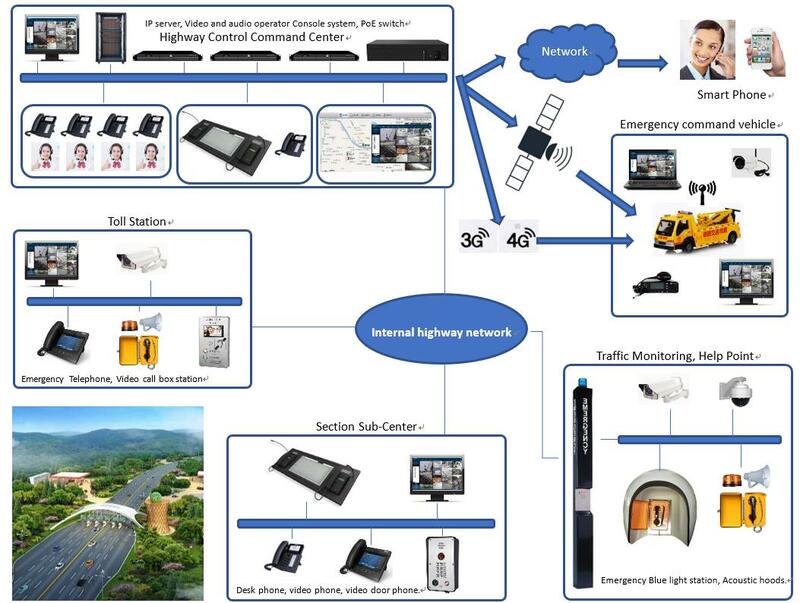 This IP broadcasting system can be applied in tunnel congestion, traffic accidents, fire, and etc. Management center can post information to the tunnel vehicles and organize the team to help channel through traffic.